On this date in 1977, soprano Maria Callas - perhaps Opera's most mainstream celebrity of the pre-Pavarotti world - died in Paris. She was only 53 years old. The cause of death was attributed to a heart attack - although some will report it as heart failure. If you talk to famed opera and film director Franco Zeffirelli, you'd probably get a different story. In 2004, Zeffirelli made what many consider a bizarre claim that Callas had been murdered by her confidant, Greek pianist Vasso Devetzi, in order to gain control of Callas's estate - which was estimated to be about $9M. Truth be told though, it seems that Maria may have, either accidentally or not, offed herself by overdoing it with the drug Mandrax (methaqualone) which was a common sleeping aid at the time. I think many would love nothing more than to make her death more sensational than her life - as if getting her ashes stolen from Pere Lachaise Cemetery isn't sensational enough. PS and FYI: They were later recovered and scattered in the Aegean Sea. As I've said before, those who are counted as legends seem to leave us all too early. Perhaps that is one of the things that contributes to the legend. 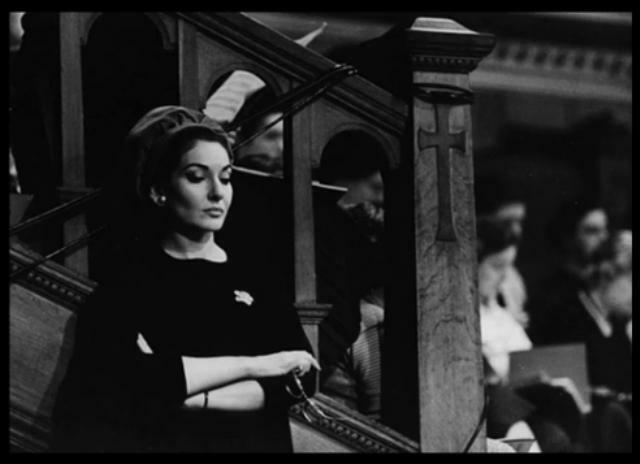 No matter who you ask, Callas was indeed a legend - at least an operatic one - because of her artistry, her relationship with Aristotle Onassis, her temper, her all-too-public decline and her larger-than-life persona. The legend aside, we can still get lost in her artistry thanks to the beauty of YouTube.